Which Type of Embroidery Machine is Best for You? Home Embroidery Machines Which Type of Embroidery Machine is Best for You? When it comes to choosing a particular type of embroidery machine, the variety that you have is endless. In the last few years, there have been many kinds of embroidery machines coming in the market. From all those, selecting the type of embroidery machine may seem like quite a task- especially if you do not know a lot about them all. 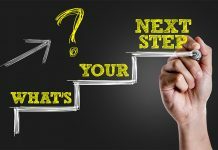 Let us go ahead and see the most popular types along with what they have to offer. 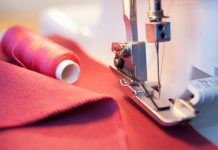 Single Head & Single Needle machine is the kind that resembles traditional sewing machines, having a removable embroidery unit along with a flat bed-bottom. 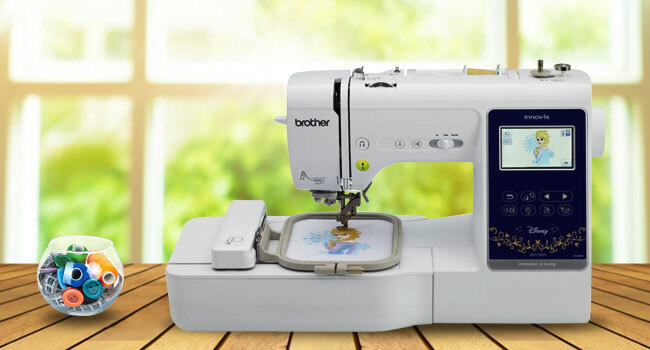 These are user-friendly and smart, useful for not just general sewing, but also for utility and decorative stitching. You can even use computerized machine embroidery with certain models of such machines. In such a machine, there is just a single head. This head is made of the needle and bobbin thread amongst other metal parts. When this machine is embroidering, its needle will stay stationary while the embroidery arm will move as per the digitized design that you are trying to do with it. 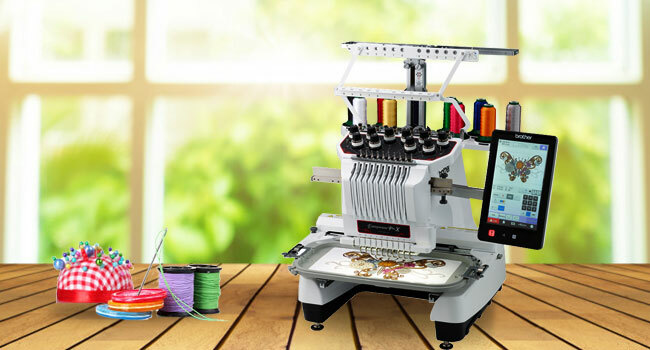 Such an embroidery machine comes with just 1 point for hoop attachment, and comes with smaller hoop capabilities in comparison to a multi-head or multi-needle machine. The common hoop sizes in this case are 5”x7”, 6”x10” and 8”x12”, with embroidery speeds varying between 300 and 1000 stitches in a minute. 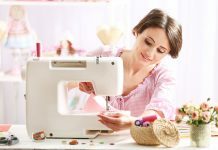 The pros of this type of embroidery machine are that it is very easy to use, especially for those who are proficient with computers; can be purchased easily from most hardware and sewing shops and also cost considerably less than other kinds. With an embroidery software program, you can customize your own designs, add new ones and even merge them to create whatever you like. One of the biggest disadvantage to having such a type of embroidery machine is that it is not as efficient, especially when you are trying embroidery of different colors on the same project. This is because you will have to stop and change the thread continuously, which becomes a time-waster, as projects get more complex. Hooping readymade garments, bags and accessories is also hard with these. The switch from single needle to multi-needle machines is what you need to take on more complex embroidery designs and intricate patterns. It gives you access to a completely new range of embroidering capabilities. With 4 to 10 needles, every needle in such a machine can hold a separate thread, which means that during a single project, you can have 4 to 10 color choices without stopping to change the thread in between. For instance, if you have a 10-needle machine and want to undertake a project with 10 different colors, then all you need to do is hoop in the fabric and start the machine. The rest will be done without you having to change the thread color in the middle. With this type of machine, you can finish a multicolor design with greater speed and ease. It also offers a higher degree of precision as compared to single-needle machines. With additional hooping systems, you can easy perform embroidery free-arm. READ: How to Select Needles for Your Embroidery Machine? As you would expect, multi-needle machines do cost considerably more, and are worth it all if you can afford it. Hooping of readymade garments is rather complex, even if you are using a multi-needle machine .If you are trying embroidery on a pocket of a readymade tote or bag, then it will be tough even for a skilled embroider. You may have to remove, embroider on and then reattach the pocket in such a case. 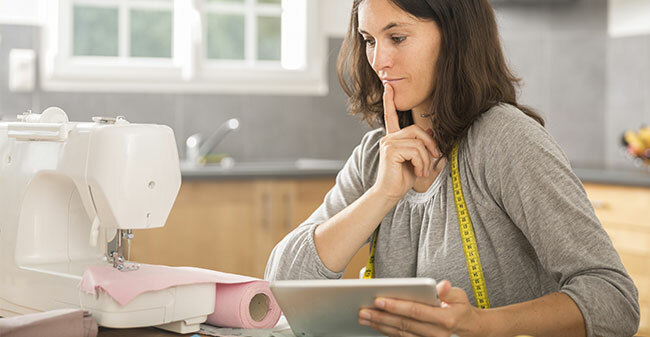 Which type of embroidery machine is the best for your home? Now that you know about the various categories, you may be wondering as to what type of embroidery machine is the best for home users. 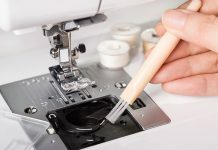 If you are just a beginner or are only going to work on smaller or less complicated projects, , then a single head & needle machine may be best for you. However, for complex projects, investing in a multi needle machine is the best thing to do. You can check out your local sewing machine store to get a better idea of how free-arm embroiders work and if they are suitable for you. With all this information, you should be able to find the type of embroidery machine that will work best for you. How to Select Needles for Your Embroidery Machine? I have the Janome 12,000 and I agree a multi needle machine might be good if you have a large business, but the Janome quality of embroidery is outstanding and I do have a small business and am able to embroider everything. Cheers! That’s a tremendous news to get aware of. I hope you will try our other products as well. Stay in touch! I agree that there is a lot of embroidery machine coming from the markets. Thanks for educating me about the different kinds of these machines. I think my favorite here is the Single head, Multi-needle machine because it can switch from single needle to multi-needle. this can make more creative functions and designs. I think I’m gonna buy one if my current sewing machine will not get repaired soon. Yes indeed, singer is really a good brand when it come to choosing an embroidery machine. You can choose yours from our list of top 10 singer embroidery machines. Stuck for that special gift to buy for your loved one? Well, if they ..
Embroidery machine is simply an amazing machine that should be in every house. There .. Fabric cutting is an integral part of getting your project created. 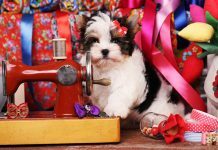 Whether you are ..
25 Unique Gift Ideas for Women – Make Gifting Special .. Selecting an appropriate gift for the woman you love can be sometimes difficult considering .. 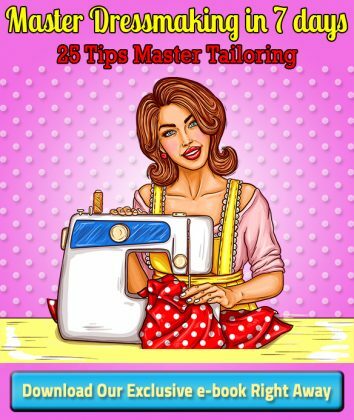 Many amateur and home dressmakers do not know how to use a dress form, ..